Zac Brown Band To Perform At 2019 Fair! Home › Latest News › Zac Brown Band To Perform At 2019 Fair! 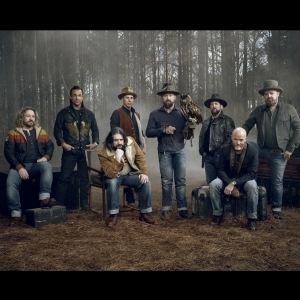 Atlanta, GA (Feb. 1, 2018) – Zac Brown Band, the multi-platinum, Grammy Award-winning group, today announced dates for their highly anticipated Summer 2019 outing, “The Owl Tour.” The announcement comes as the band prepares to release their upcoming new studio album featuring the hit lead single, “Someone I Used To Know,” currently widely available for streaming and download. Additional album details including release date, track list, and artwork will be coming soon. Zac Brown Band will partner with DemerBox, as an official tour sponsor, wanting fans to never run out of fun by providing charging stations at every stop of “The Owl Tour.” Zac Brown is co-owner of DemerBox, makers of the premium waterproof speaker that goes anywhere, gets loud, & has storage to hold your valuables. The brand is held under Brown’s recently launched entertainment and lifestyle parent company, Zac Brown Collective. Members of the Zamily will have access to tickets before the general on sale through a presale beginning Tuesday, Feb. 5 at 11:00 am. For more info on the Zamily and tickets please visit ZacBrownBand.com.